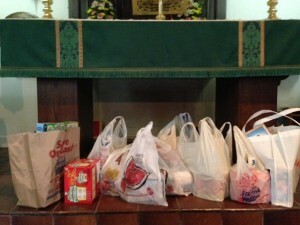 On the first Sunday of each month, we ask parishioners to bring in non-perishable foods, which are blessed and then delivered to the Leicester Food Pantry. Can’t always remember to bring food in on the first Sunday? Bring your donation whenever you remember! 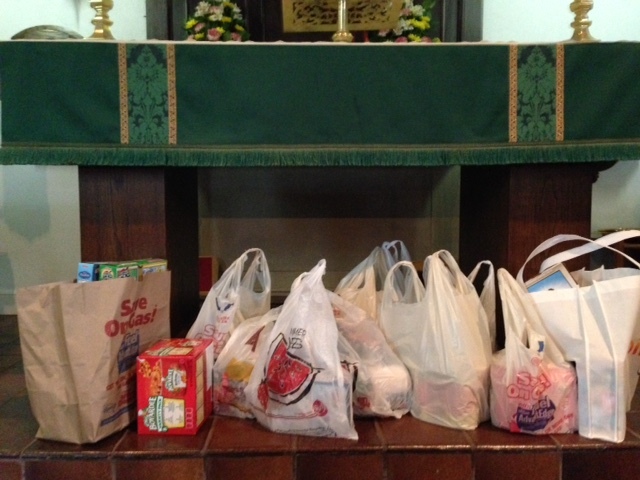 You may leave it in the basket in the church Narthex (by the entrance) anytime, and we’ll get it to the food pantry. Thanks! To inquire about this ministry, please call Donna Hartness, 508-892-9716.